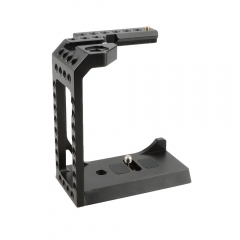 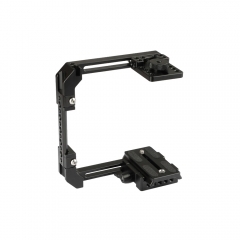 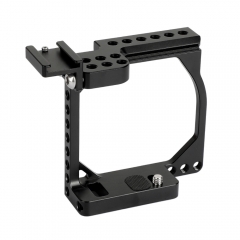 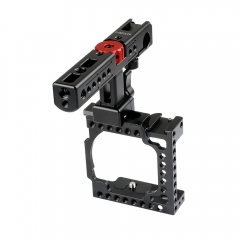 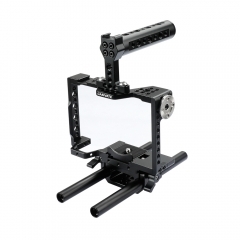 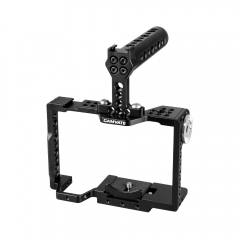 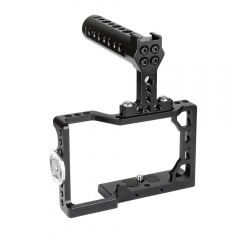 The camera cage is aluminum alloy constructed for light weight and durability, and compatible with Sony A6500,A6400, A6300, A6000,ILCE-6000,ILCE-6300,NEX7. 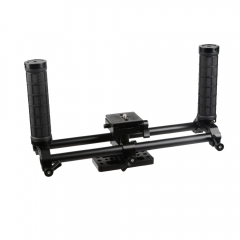 It comes with two shoe mounts on the top handle and a third on the cage, 1/4"-20 and 3/8"-16 threaded holes that allows free DIY accessories attaching, such as plate, wooden handgrip, tripod, monopod and so on. 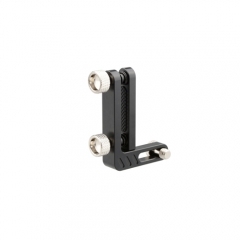 The top handle is orientable with the knob rotating design. 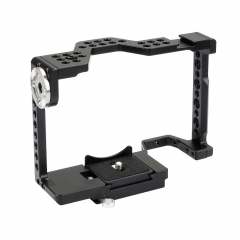 With the 1/4-20" screw at the bottom, the camera can be mounted and removed quickly.